This stunning lake that is situated high up in the Cascade Mountains was a pleasant discovery for us on a vacation trip spent in Oregon many years ago. Enjoying the portion of a day that we spent there, my mother, niece and I determined that Diamond Lake would be a great destination spot for all types of vacation entertainment in all seasons. Often as we traveled we would make our "wish list" of places that would be fun to go back to and spend more time. Diamond Lake definitely made this list! While it was new to us obviously many people knew of its location and amenities. 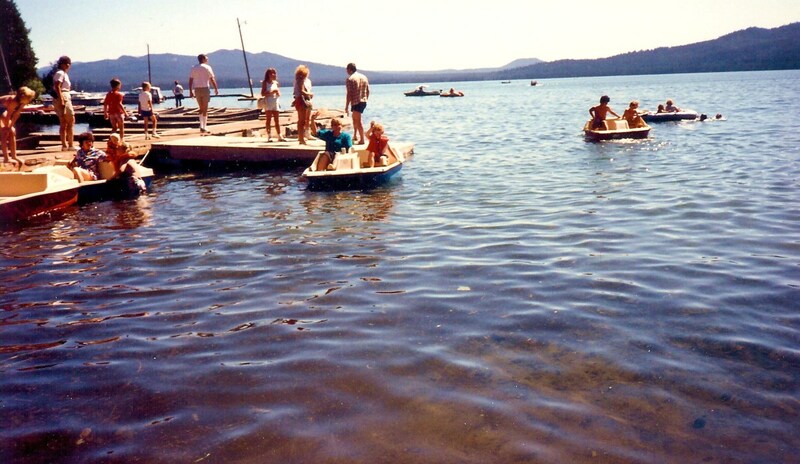 Whether they had come from the nearby areas of Oregon or had traveled some distance to get there, Diamond Lake was well utilized by people of all ages on the day of our visit. 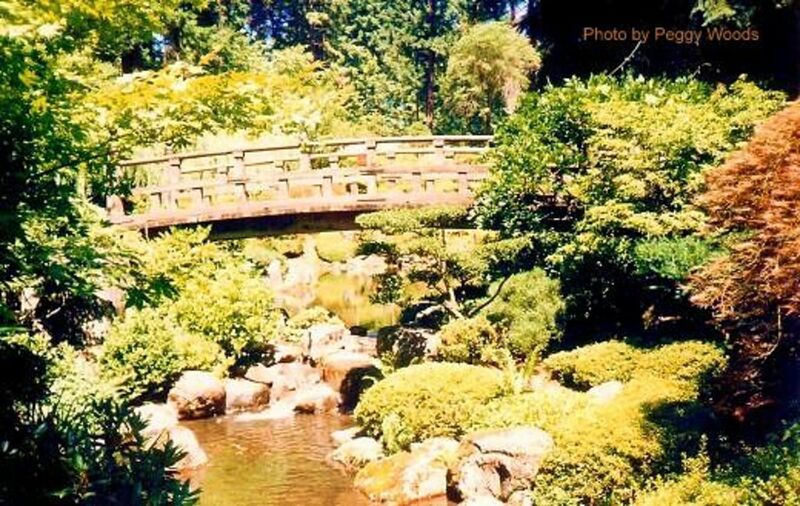 When traveling in the Pacific Northwest of the United States, the Cascade Mountains (commonly referred to as "the Cascades") feature prominently in the surrounding landscapes that span territories all the way from northern California up to southern British Columbia in Canada. Some of the mountains contain active volcanoes which have erupted in the past (Mt. St. Helens being the most recent) and others are being watched and closely monitored even today for possible future eruptions. Many show no activity and can simply be enjoyed for their beauty. We had recently viewed Mt. Hood from Timberline Lodge and were on our way to see Crater Lake National Park. Crater Lake had been formed when Mt. Mazama had explosively blown its mountainous top off around 11,000 years earlier forming a caldera which had gradually been filled with rainwater and melted snow creating this extra-ordinary deep blue reflective lake seen there today. There are numerous named mountains in the Cascades, Mt. Hood being the highest of them in Oregon. For top height honors in all of the Cascades, Mt. Rainier in the State of Washington wins that designation. Being in mountainous country, needless-to-say, there are countless streams, rivers, lakes, waterfalls and much forested areas which are a delight to the senses. Wildlife abounds and for the most part co-exists with humans in a compatible manner. Getting to Diamond Lake we had been driving through some of this gorgeous scenery and around each bend of the road something new and equally stunning presented itself. Our destination for the night was the Crater Lake Lodge and as it was only about 20 miles from this resort on Diamond Lake, we decided to relax and enjoy our selves at this beautiful location for a while. For the people staying at the Diamond Lake Resort, they had this fabulous lake and playground literally at their backdoor! We found out that the Diamond Lake Resort offers year round recreation for winter sport enthusiasts as well as summer enjoyment and all of it is easily accessible. 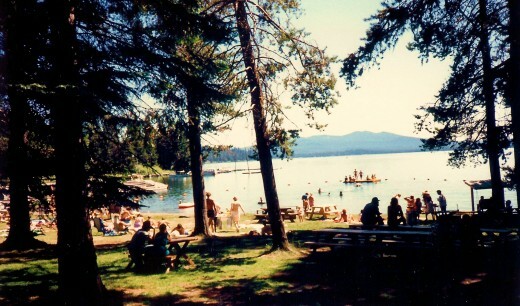 Accommodations including cabins with fireplaces, a number of restaurants, campgrounds and picnic areas are located lakeside or nearby. Horses and bicycles can be rented as well as watercraft of all types and fishing gear. There is something to tempt almost everyone who comes here. If a person wishes to snowmobile, swim, hike or simply sunbathe and daydream, that and more can be done in this glorious locale depending upon the season. The day was bright and sunny and the water inviting. 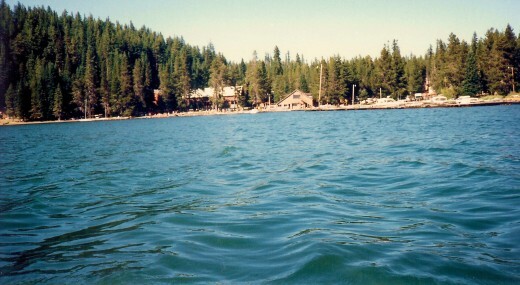 Had we been staying there, Diamond Lake would have seen us swimming in it. My mother, niece and I did the next best thing and rented a paddle boat which took us out onto the lake affording us views further from the shoreline. Oh the views were magnificent! Mount Thielsen was easily seen rising above the forested areas. We paddled about for some time just enjoying the fresh air and sunshine and the rippling waves of Diamond Lake's clear blue water. According to literature, this lake which covers about 3,000 acres was formed by glacial action around 10,000 years ago. Elevation of the lake is about one mile above sea level. 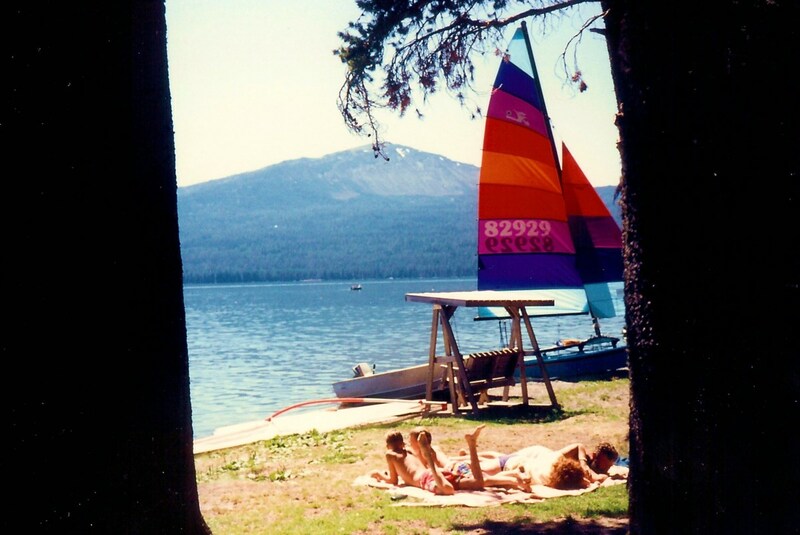 Enjoying Diamond Lake in the Oregon Cascades was a delightful interlude during our summer vacation of many years ago, but one not easily forgotten! Would you wish to visit Diamond Lake if you were vacationing in Oregon? I have already visited there! Yes, I would enjoy seeing this in person. No...I prefer other types of scenery. Looks like a great place to visit. If I get back out to that area, I'd love to spend some time in the Cascades. Voted up, useful and interesting. I seemed to have missed this article previously. Usually I do a search and find on your hubs anymore to see if I've read it before and how long ago. ;) Every once in a while I discover one I haven't read before -- I guess that's because you have so many and my memory, well, I just have too much going on all the time to remember everything. The photos here are beautiful as always and make it look so inviting. My daughter has been to Oregon and loved it, but Oregon is one of the dozen states I have never visited. No reason except I just didn't make it there for who knows what reason. Great videos and lots of good information for people trying to decide where to vacation and what to do. Gave you another 5 stars (at least I remembered to tell you!). You are one of my favorite writers because you do such a great job and write about such interesting things. Voting you up, useful, interesting, and BA. Sharing and pinning, too! 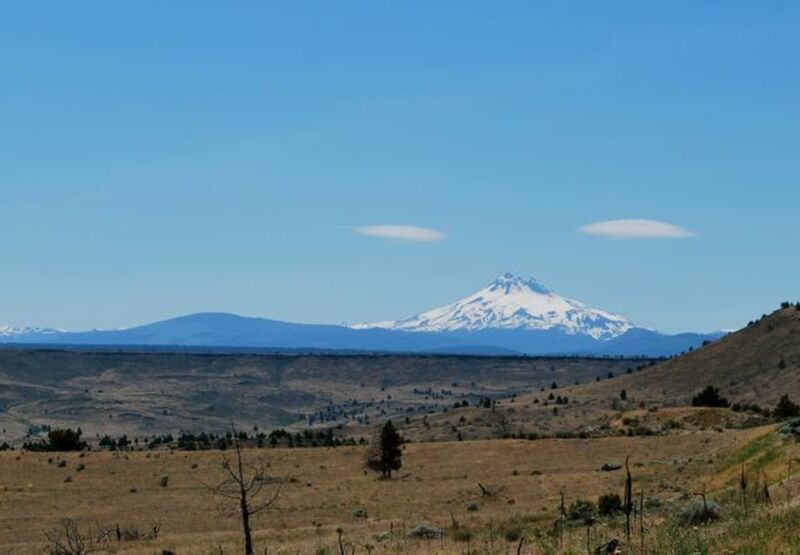 Lucky friends of yours to be living near Mount Hood in the gorgeous state of Oregon! Nice to know that you liked this look at the pretty Diamond Lake. I would also enjoy staying in a cabin in that area for a nice vacation sometime. Appreciate your comment. 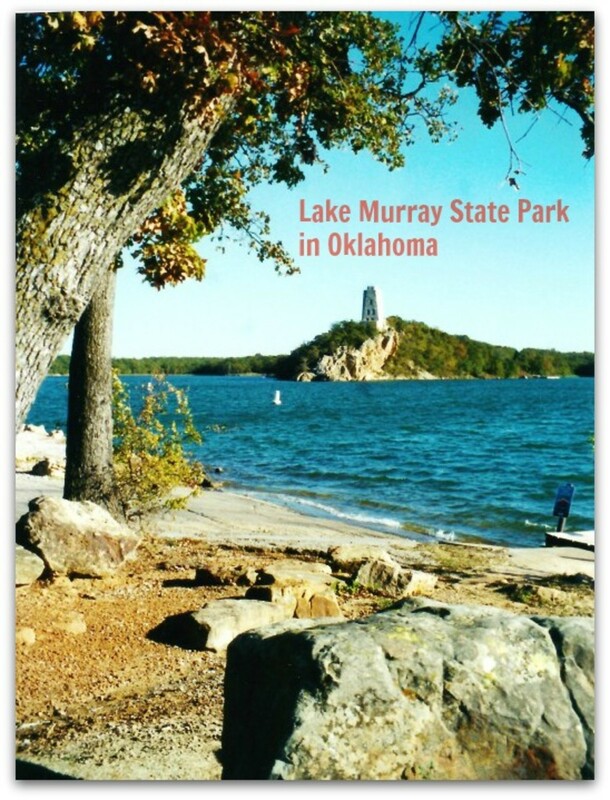 This sounds like a great destination for those who enjoy outdoor activities. We have friends who grew up near Mt. 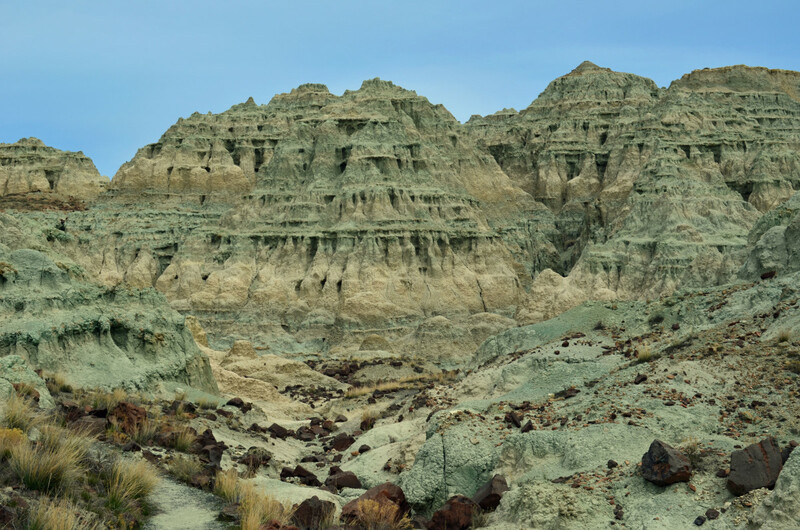 Hood and I always marveled at their beautiful photos of the area. I'd definitely enjoy staying in a cabin. Thank you for such a nice series of hub on vacation destinations. The videos are a nice touch, too! This part of the country is so beautiful! We enjoyed the part of the day that we spent enjoying Diamond Lake and then we went on to see Crater Lake National Park which is a breathtakingly beautiful lake. Thanks for your comment and votes. Beautiful hub about a beautiful lake and I also learned a lot of information about the Cascade Mountains. Also enjoyed the videos and photos. Thanks for sharing this. Voted up except for funny. I only wish we had the same kind of beauty around San Antonio such as exists at Diamond Lake in the Oregon Cascades. Assuredly there IS beauty...but of a different type entirely. At least the topography is a little bit more varied around San Antonio than our very flat Houston. The drought this year is really serious! Peggy was checking back to see on other Oregon hubs - reminded me of the Cascades around San Antonio - the drought hasn't helped. Glad that you enjoyed looking at Diamond Lake in the Oregon Cascades. Having a lake 3km's away from your home and enjoying camping makes it a "greatlife" indeed! Thanks for a scenic trip to Diamond lake. You make life so beautiful, perfect for a weekend outing. Will surely plan some camping out this weekend we have a lake just 3km away from our home. Thanks for the insiration. I agree that Diamond Lake would be a great place to spend more time and relax. Had we known ahead of time just how beautiful it is, we might have planned to spend a bit more time there. 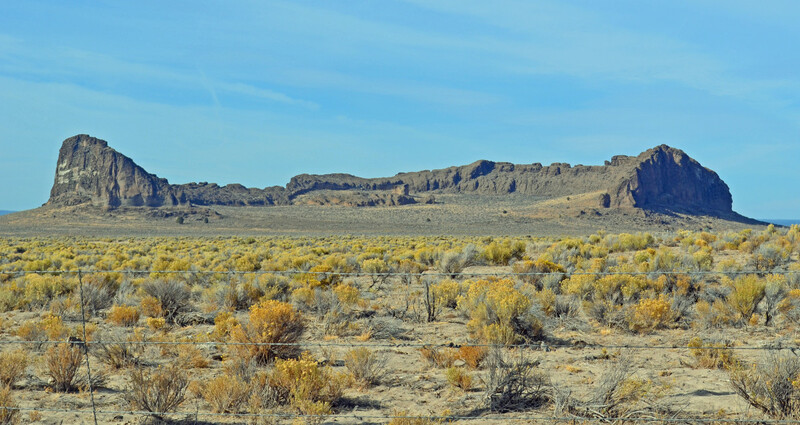 As it was, we certainly saw other gorgeous sites as we made our way through more of Oregon. 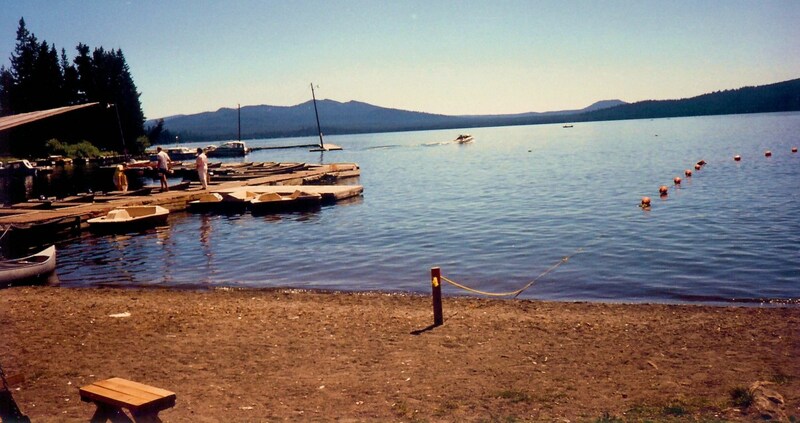 Happy to hear that you enjoyed this hub about Diamond Lake in the Cascade Mountains of Oregon. I am not yet through writing hubs about our Oregon vacation. Such a beautiful state! I love your tours! Another great one! Thank you Peggy! The lake looks so peaceful with the mountains around there - Oregon looks gorgeous as per your other hubs - I need to do the tour one day. Glad that you liked this look at Diamond Lake in the Oregon Cascades here and on your television. Also hoping that you can see it for yourself someday in person. Thanks for the vote up! This was beautiful lake. I just seen this on my television. I really enjoy all the pictures. That's all great and fun. I hope I can visit this lake someday. Diamond lake is the best. Thumbs up for you. I vote this Up. I agree with you. I would enjoy going back to Diamond Lake someday and spending more time. Thanks for taking the time to leave a comment. That is truly a beautiful place to vacation. I loved all your pictures as well. No one covers the "whats, whys and wheres" better than you when you write your great hubs. Your profession series was terrific! What are you thinking of doing next? Must be glorious to see Mt. Ranier from your home. Thanks for viewing Diamond Lake...a jewel in the Oregon Cascades...and leaving your sweet comment. Hey Peggy!! I love this.. especially since I can see Mt. Rainier from my home!! You cover these amazing places so completely, and give such a detailed description of the 'whats and whys and wheres" that gives your hubs such a feeling of being there with you. (Whew.. that was one looonng sentence!) Thanks Peg! So happy to hear that you enjoyed the details worked into this hub about Diamond Lake and the Oregon Cascades. I figured people could see more and read more if they wished. Thanks! Glad you enjoyed seeing Diamond Lake in the Oregon Cascades via this hub. Perhaps you have not made it to Oregon yet, but Colorado and Montana are not to be discounted. Both are also beautiful places! There is SO MUCH great beauty in this country. It would take a lifetime to see all of it! Diamond Lake would definitely be the better place for camping. Crater lake has that circle drive around the crater with the steep hike down to the water. Anyone in the area should see both lakes if at all possible in my opinion because as you say, they are not that far apart. Thanks for your comment. You are fortunate indeed to have been able to camp on or near the shores of Diamond Lake! I love the mountains and the beautiful lakes surrounding them. Colorado or Montana has been a little more accessible than the Pacific Northwest, but I would love to visit Oregon someday. If it weren't for all the snow in the winter, I would live in the mountains. Thanks for sharing another beautiful vacation destination. Great hub. I camped at Diamond Lake last year and I agree with you. It's beautiful. I prefer it to Crater Lake if camping because the camp sites are right on the water and its an easy drive to see Crater Lake from there. 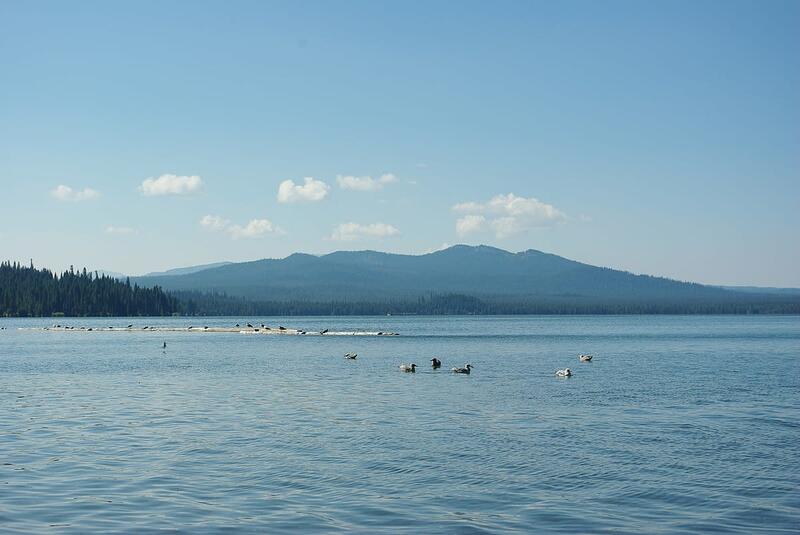 Visiting Diamond Lake in Oregon was just a portion of our vacation but was such a beautiful site that I thought I would share it here on hubpages. Glad that you enjoyed it. Ah...that is one place ( Lake Tahoe ) that I would wish to visit some day. Just very happy to have been able to vacation in Oregon and see so many gorgeous sites. Nice hub! Brings back childhood memories of lake Tahoe! I know you like the water verses desert on your vacations. 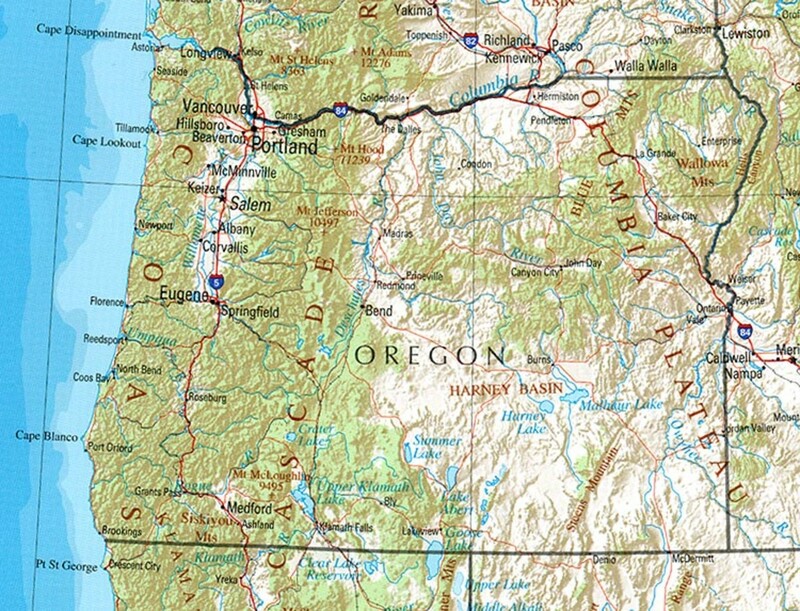 Lake Jackson and most all of Oregon for that matter would make you happy. Thanks for the comment! Very happy to be able to show you Diamond Lake in the Oregon Cascade Mountains and glad to know that you liked seeing it. Thanks for the comment. I agree that there is something very nice about being able to be around water...especially beautiful lakes like this Diamond Lake in Oregon. At my grandmother's lake in Wisconsin she had row boats and they also had what was called a cabin cruiser which was great for motoring around the different legs of the lake. In Wisconsin Rapids we were invited to go out on a pontoon boat one 4th of July to watch the fireworks. That was fun! Thank u for sharing the scenic spot in the world. I loved and enjoyed seeing the photographs and videos.I voted the second option. You know how much I love water....So need I say more. There are many beautiful lakes in the world, Lake Jackson in the Oregon Cascades being one. We were just happy to have gotten to see and enjoy it for a portion of a day. Thanks for the comment. One reason we moved to where we are is that there didn't seem to be any lakes near the Quad Cities.We hardly ever go to the lake but there seems to be something about just being around them. I remember Lake Como in St. Paul had what we called water bikes but I think they are what you call paddle boats. As a kid I thought it would be neat to have one of our own. I don't think my parents shared my enthusiasm. The entire State of Oregon is a piece of paradise in my opinion. Such beauty! Thanks for taking a look at this portion of the State...Lake Jackson. 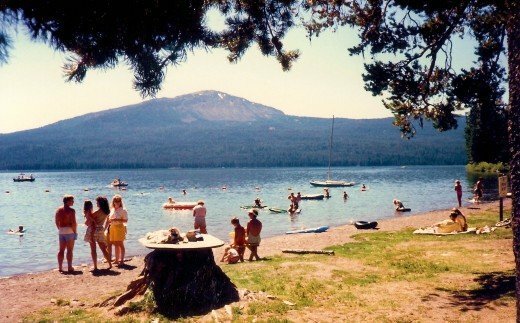 Thanks for being the first to read this hub about the beautiful Diamond Lake in the Oregon Cascades. My grandmother lived on a lake in Wisconsin for most of her years and I loved swimming in it and doing some ice skating in the winter when I was a youth. After moving to Texas...fewer lakes...so switched to swimming in pools instead. It is easy to tell from your avatar that you like watery sports! Hello peggy Diamond lake is one of the most beautiful lakes and your photographs are superb.Thanks for haring another grand one. This must be part of paradise. Thank you for sharing.